If you want to avoid these irritating problems cropping up in your life then it’s about time you began to clean up the areas around your units! Dust: A system with room to breathe produces good quality air for the entire building, however, the more items sitting in close proximity to your HVAC system, the more dust will be allowed to settle. These dust particles will be recycled into the airflow – lowering the quality of air in your building. Dust is a huge no-no for ventilation and heating systems. 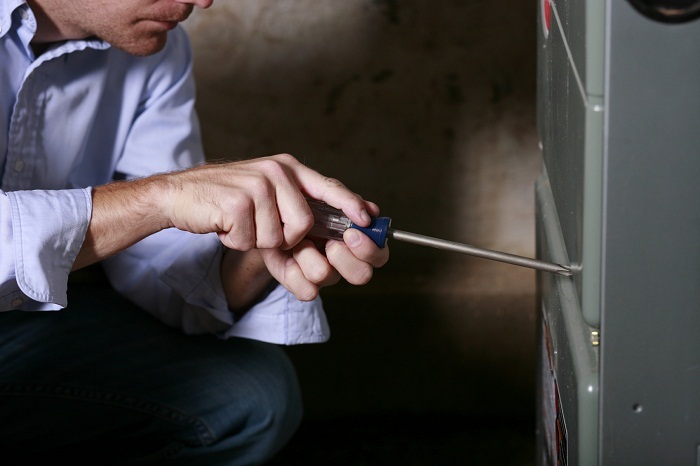 Ease of Repair: A cluttered system is a HVAC contractor’s worst nightmare. There is nothing more challenging than to attempt a system repair or cleaning in a room where there is hardly enough space to move. If the area around your ventilation system is full of junk then it will take the contractor double the time to work. Facilitates Proper Airflow: Look. If you have a HVAC system at home or at work then you know when it’s not working correctly. It’s swelteringly hot outside and your ventilator is supposed to be cooling down the office but for some reason it has stopped. You call the HVAC contractor and 99% of the time you can be sure they will tell you it’s a problem with the airflow. This easily resolved problem can be utterly avoided by simply making sure there is nothing in the vicinity which could lead to the vents becoming jammed! Fires: At the other end of the spectrum we have another more sinister problem – fires. In 2010, an NFPA report found that air conditioning, fans or related equipment were involved in an estimated 7,400 reported U.S. home structure fires and caused $207 million in direct property damage. They found that in the vast majority of cases the fires were caused by clutter in the areas surrounding the HVAC room. For your own safety please avoid storing linens, or any combustibles especially paint, gas or ammonia based products, near the heating or ventilation unit. Energy Efficiency: Having your HVAC units in crowded areas can hurt the environment and your wallet, too. The lack of airflow makes the machine work double-time and as a result uses more energy which increases your bill at the end of the month. Health: A cluttered ventilation system can lead to health issues. Contaminants such as pet hairs or odours can lead to mold, which is then released into the building’s atmosphere. In addition to ensuring your unit is clutter free, it is advisory to call a HVAC contractor Advice and have your unit inspected frequently. If you or someone you know begins to experience respiratory problems or allergies out of the blue – it may be time to have your HVAC units serviced. Ask yourself, when was the last time you took a good look at your ventilation system? If you live in Toronto and want to avoid any of the problems above then it’s about time you called Tropic Air. Tropic Air has been providing outstanding customer service in both the residential and business sector since 1992. That’s over 20 years of experience dealing with water heating, furnace and air conditioning problems in Toronto so you can sleep easy knowing that any issues you may have will be professionally taken care of.